I have heard it said on many occasions that the wealthiest place on earth must be the graveyard. I am opined that that postulation must be correct. I agree that the cemetery must be full of so many dreams, visions and aspirations that never saw the light of day and got buried with the dreamers. I have spoken with many people with very big dreams who have remained at the dreaming phase till today. It is not enough to dream about greatness. You must take action towards living a fulfilled life. You are responsible for how your life turns out. You are responsible for whether your dreams remain so or turn to realities. Fulfilment can only be found in the place of action. Only action takers rule their world. Your dreams can only give you a temporary sense of satisfaction. Once you wake from dreamland and realize that it is yet another dream, the hollow remains on your inside. I charge you to dream big. Much more so, work big. Be more than a dreamer; choose to be a doer. Remember, faith without works is dead. Is it one of your dreams to become an author? 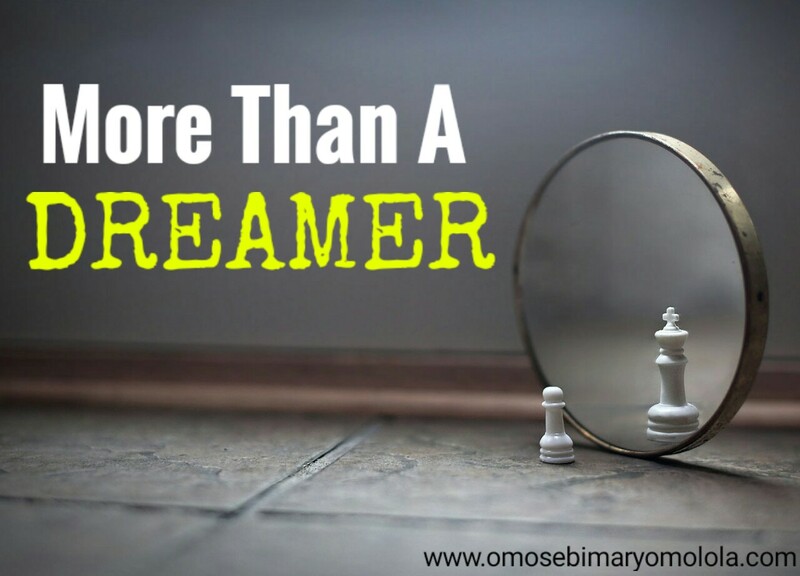 I really want to help you turn that dream to a reality so I am inviting you to join a writing course / boot camp that I have designed which will help you move from being a dream author to an author in just a short while with your determination at play. It’s an online course so your location is not an excuse.